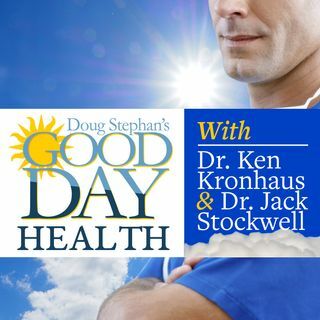 Host Doug Stephan and Dr. Jack Stockwell www.forbiddendoctor.com discuss Vitamin B deficiency and how to decide which one to take. Next, learn about how eating Bacon can help decrease your craving for Sugar. Nuts are good for you, but do you know which ones are the best? Did you know that Hand Sanitizers do not get rid of the Bad Bacteria? Finally, Dr. Jack talks about how to build Muscle.